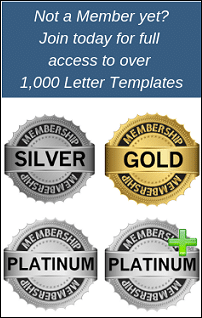 To gain access to our Free Bronze Membership, click here. 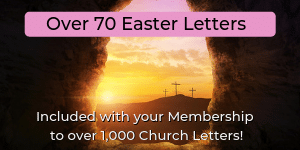 If you wish to purchase a membership to gain access to over 1,100 Church Letters and Welcomes, click here. We would like to take this opportunity to welcome you to (NAME OF CHURCH) as we celebrate our Risen Lord and Savior, Jesus Christ! Without a doubt, the impact this one man named Jesus has had on this world has been without equal or parallel. While there have been other leaders who have lived and influenced humanity, whether it be in a positive or negative way, none of them have died, then risen from the grave. Logged in Members, CLICK HERE to view and/or copy full text! 2,000 years ago Jesus rode into the city of Jerusalem on the back of a donkey, while the people felt that all their hopes and dreams for being free of the oppression of Roman rule was riding on His back. Logged in Members, CLICK HERE to view and/or copy full text! 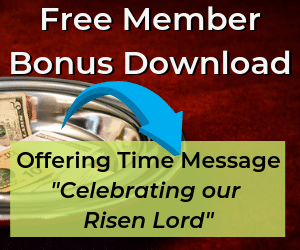 The Resurrection of Christ is the great “separator” when it comes to relationship or religion, and we want you to experience something far deeper today than dead and dry religious ritual. We want you to get to know Christ in a greater way than ever before! Logged in Members, CLICK HERE to view and/or copy full text! We realize today that “the house of the Lord” is far more than just a building as the Bible declares that we are the temple of the Holy Spirit, however, there is still something quite amazing about gathering together with the family of God on a weekly basis to worship the Lord! Logged in Members, CLICK HERE to view and/or copy full text! Today is a very special day here as we take some time during the service to recognize and appreciate our Pastor(s). The month of October has been designated on a National level as “Pastor’s Appreciation Month,” and while we are certainly part of this, we are also happy to appreciate our Pastor(s) every day! We believe that one of the ways we can truly “live in peace with each other” is to show our “highest regard in love” to our Pastor and his wife (NAME). So, if you are visiting with us today, you are encouraged just to appreciate them as well, even if you’ve never met them before! Again, thanks for joining with us today! Welcome to (NAME OF CHURCH) on this Independence Day weekend! This is the week that once again we pause and celebrate our freedom as a nation and the Independence and Liberty that we now enjoy. Today, we not only take a look at the Liberty we enjoy as Americans, but greater than that, we take a look at the Liberty that was made possible through the death of our Savior, Jesus Christ on the Cross. Logged in Members, CLICK HERE to view and/or copy full text! We are delighted you have chosen to worship with us today, and we look forward to all the Lord will do in this service. Today is a very special day as we take some time during the service to honor those who have graduated from High School, College or Graduate School this year, so please join us in honoring them. Logged in Members, CLICK HERE to view and/or copy full text!